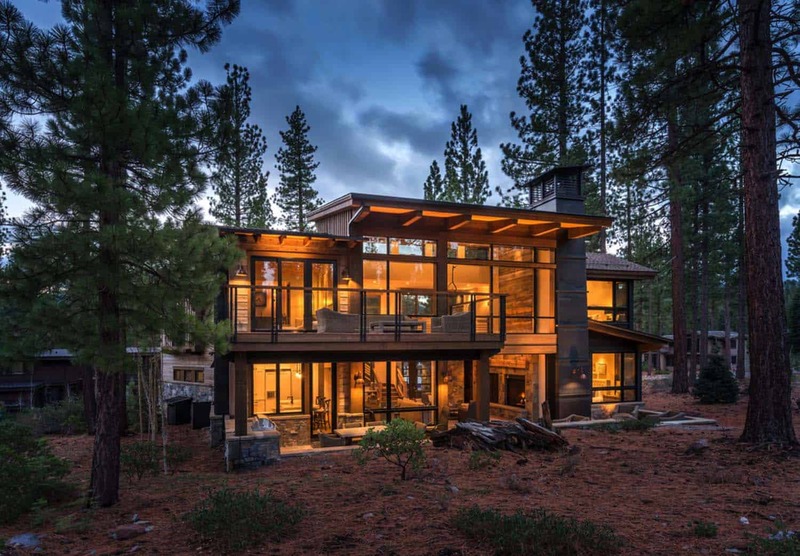 This modern-rustic mountain cabin was designed by Kelly & Stone Architects in collaboration with Sarah Jones Design, located in the Martis Camp community of Truckee, California. 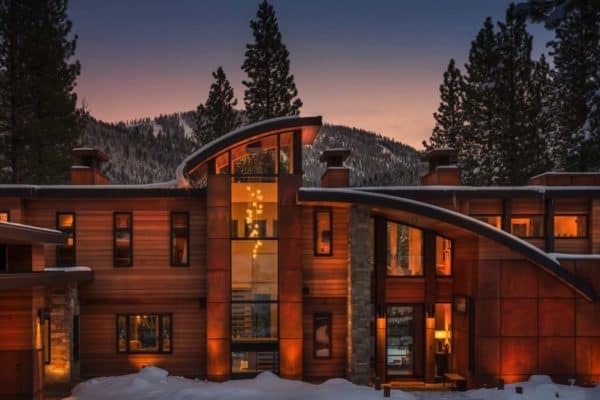 Encompassing 3,250 square feet of living space, this home offers four bedrooms and four-and-a-half bathrooms. 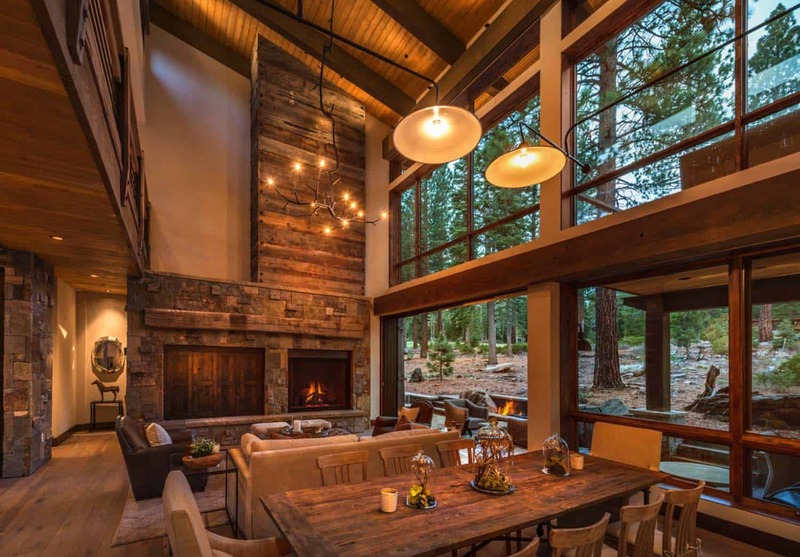 Built by Vineyard Custom Homes this striking dwelling features expansive walls of glass to capture the striking views. 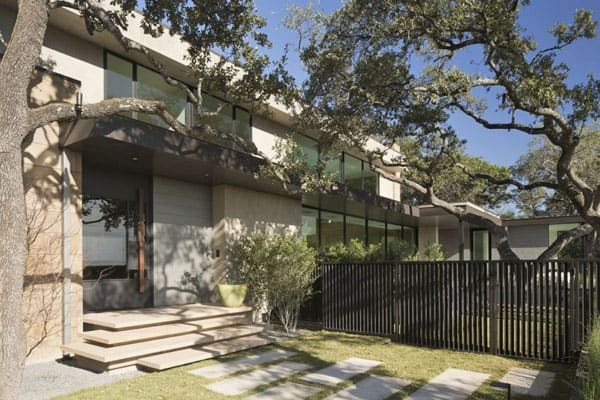 Low-maintenance weathered wood was selected on the exterior, which would never need to be stained. A couple with two young children purchased this partially constructed home. 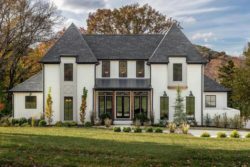 With limited time to spare, they did not wish to wait three years to construct a home from scratch. 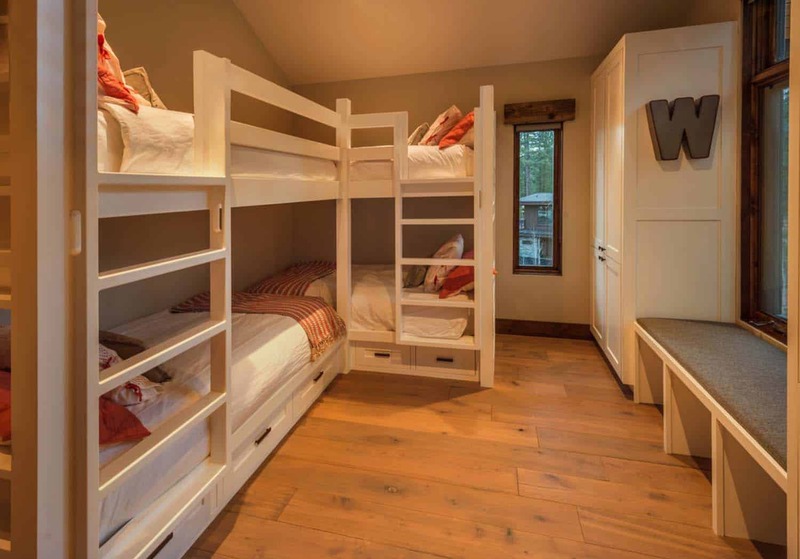 They were looking for a vacation home for family trips and for entertaining friends. 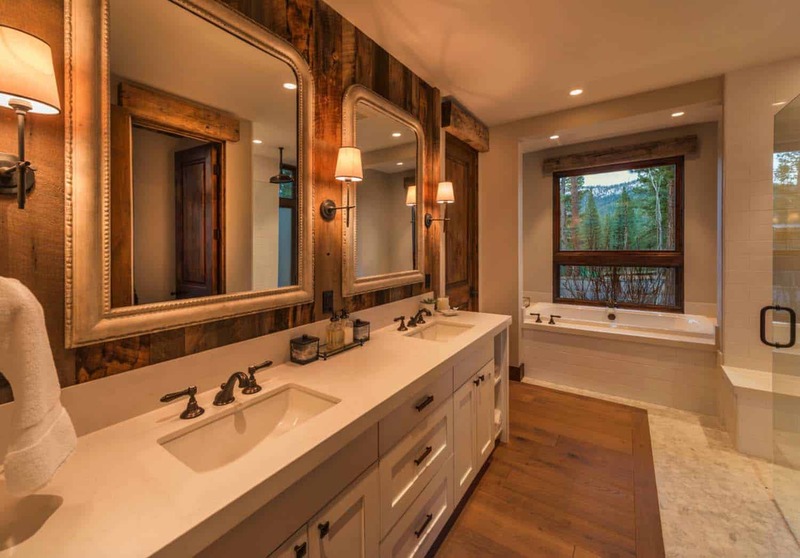 Becoming involved in the building process during the early stages allowed the homeowners some flexibility on selecting some features and finishes to make the place their own. 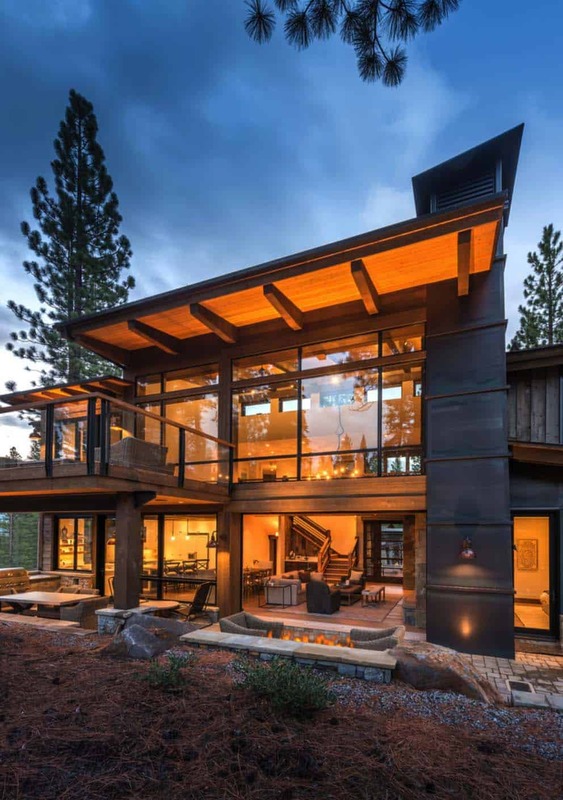 The existing midcentury modern rear elevation is what originally drew the homeowner’s to this Tahoe property. 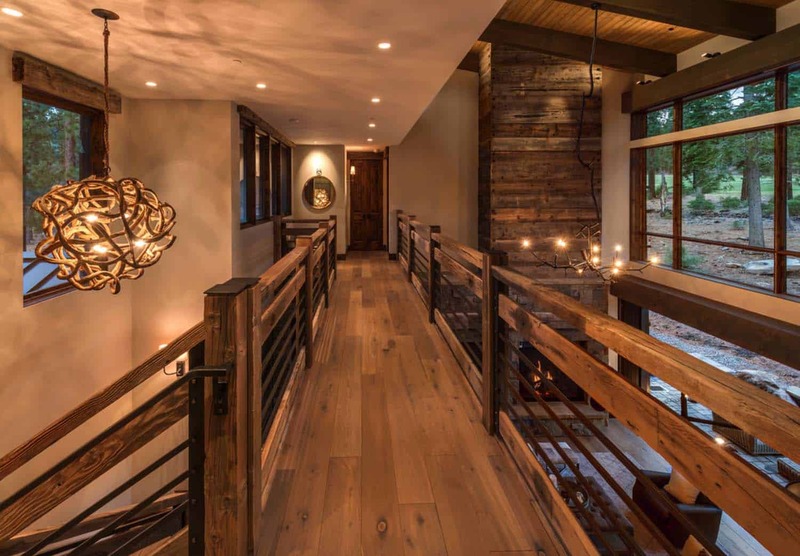 The idea for the design was to blend modern with rustic, to create a serene environment that focused on the surroundings. 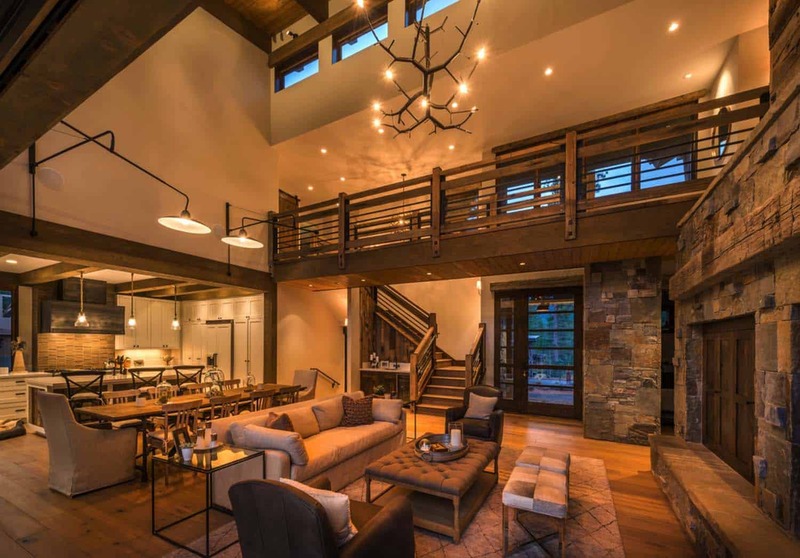 Half of this structure is glass, which helps to captures the magnificent views this property has to offer. 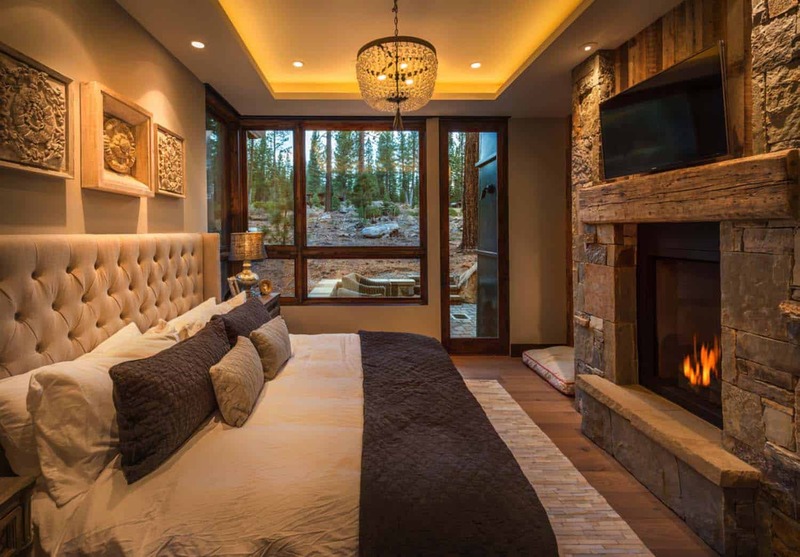 The decor is very neutral and comfortable, so you look past it and focus on what is going on outside. 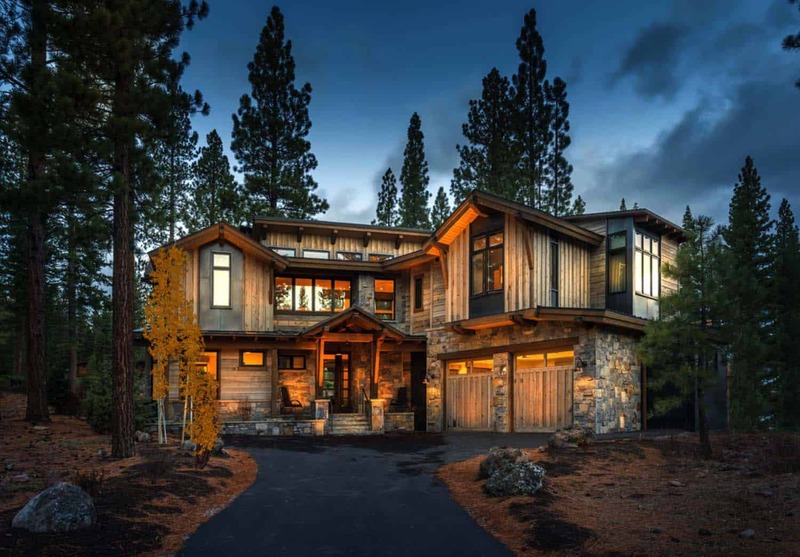 During the winter months, the homeowners can watch skiers whizzing down the Northstar mountainside. While the summer months offers plenty of wildlife activity to enjoy. 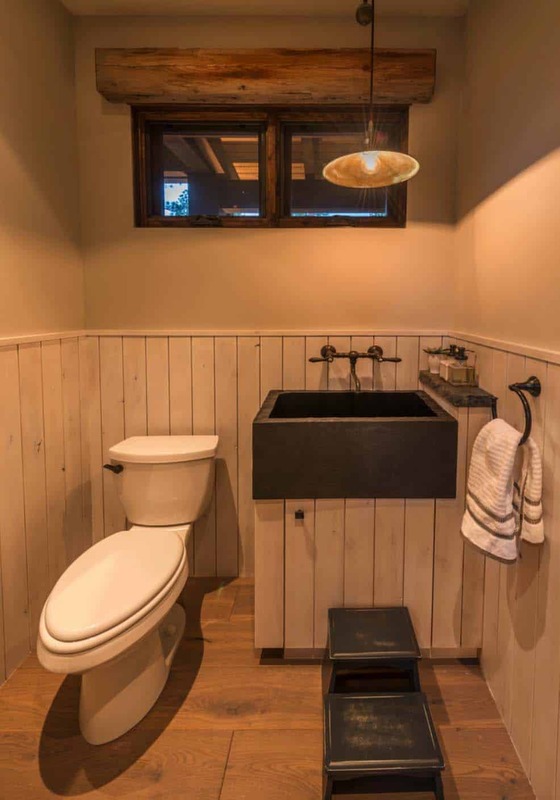 The interiors are designed to be livable and functional. 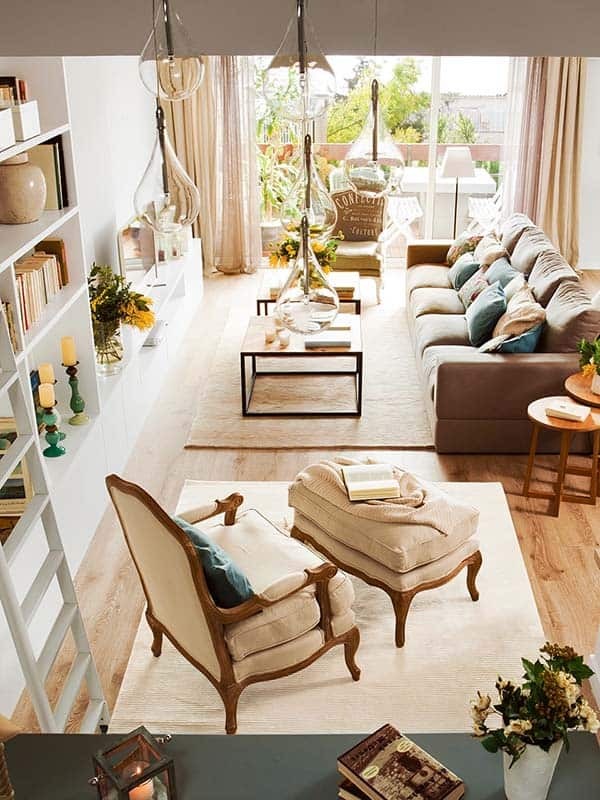 Looking around the spaces you will notice a neutral decor scheme of browns and grays with plenty of charm. 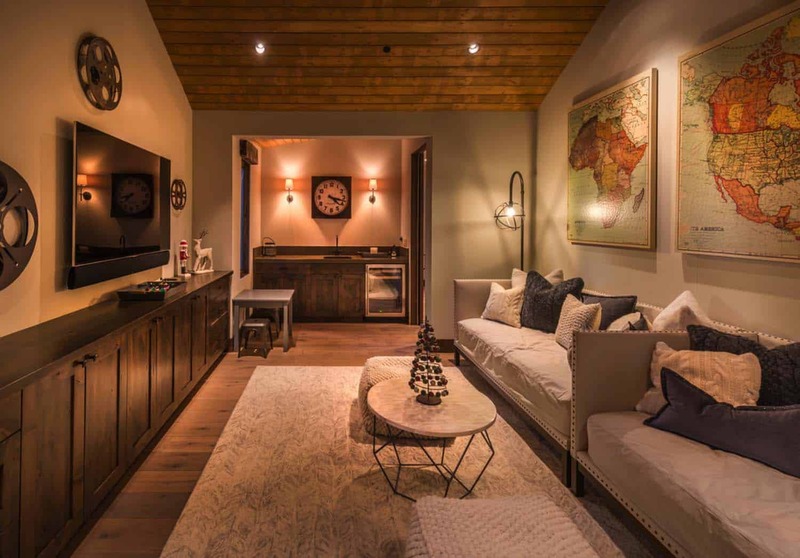 A lot of the character of this home comes from old beams used as architectural accents, such as the fireplace mantle, kitchen island paneling and master bathroom accent wall. 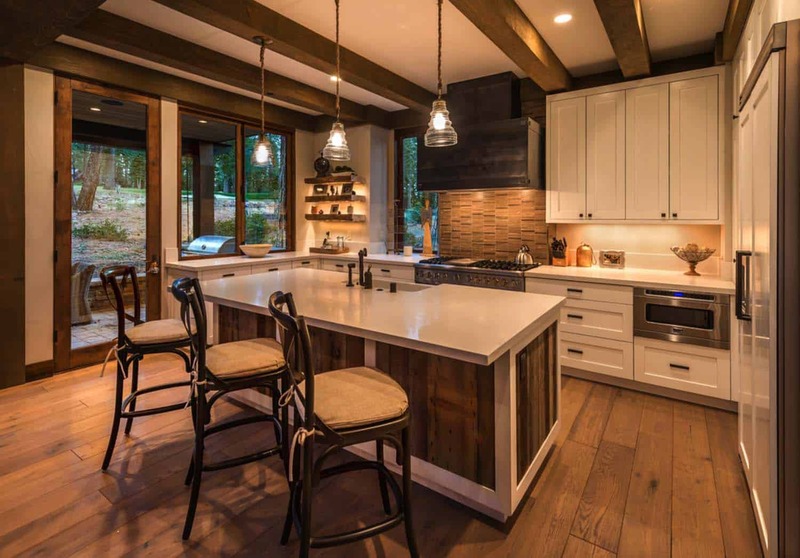 Above: To brighten the kitchen, crisp white cabinetry balances bulky exposed beams. 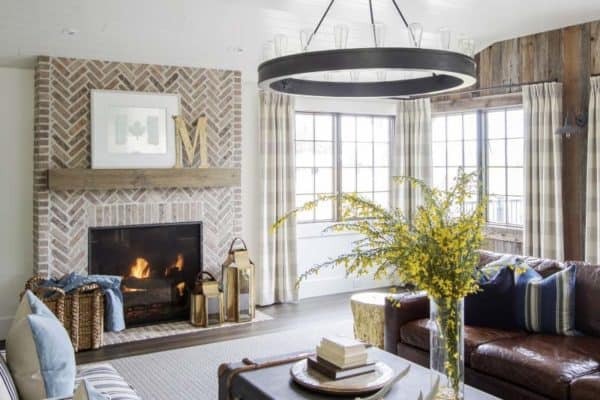 Above: The fireplace mantel is composed of repurposed wood salvaged from a local pier. 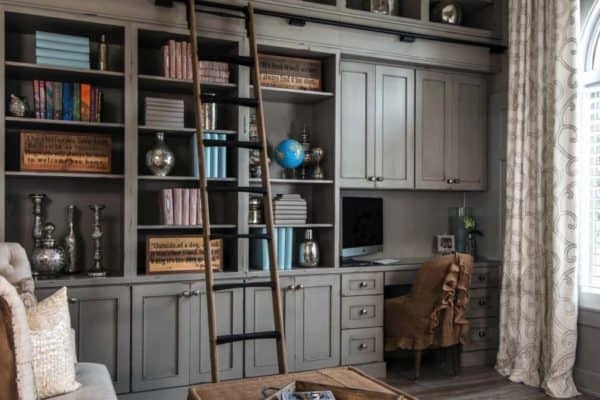 A cabinet next to the firebox cleverly conceals the television. 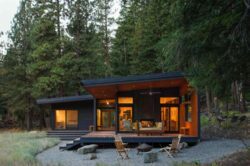 What We Love: This mountain cabin retreat was designed for family living, with comfortable furnishings and functional spaces. 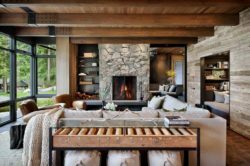 Rather than clutter living areas with breakable items, decor is built into the architecture with durable material elements of wood and metal. 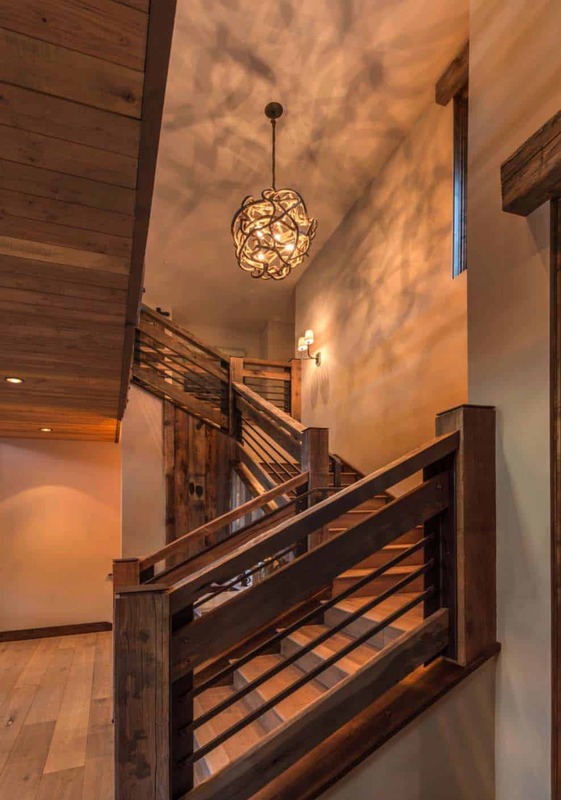 Unique architectural details throughout this home — such as the use of reclaimed wood — adds to the overall character and rustic charm… Readers, please share your thoughts, what details do you love about this home? Tell us in the Comments! 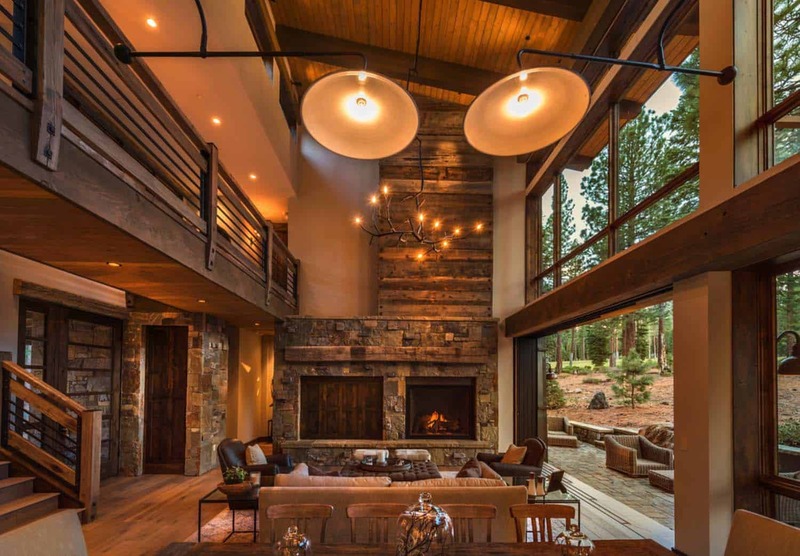 Note: Have a look at a couple of other amazing home tours that we have featured here on One Kindesign from the portfolio of Kelly & Stone Architects: Fabulous mountain dwelling with jaw dropping views of Martis Valley and Gorgeous rustic mountain retreat with stylish interiors in Martis Camp. 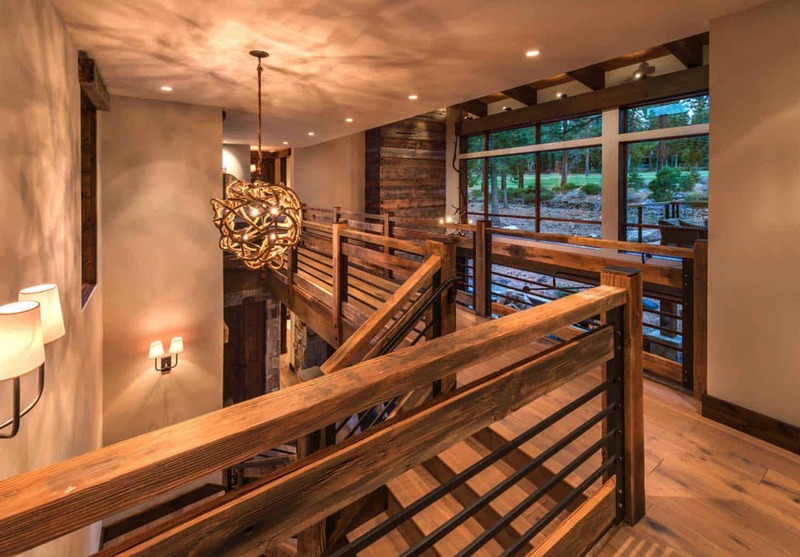 Above: The staircase and catwalk are composed of reclaimed wood, source from an old Lake Tahoe pier. Most of the pier has been integrated into the house in some very unique ways.